After US telecom carrier Verizon announced a 5G-enabled smartphone with Samsung, AT&T has also announced plans to grow its mobile 5G device lineup with a 5G smartphone from the South Korean giant in the first half of 2019. The AT&T 5G-enabled smartphone will give customers a compatible plan access to the 5G network it plans to introduce before 2018 end. "5G is going to be about more than just a network. Customers will eventually be able to connect in near real-time to unforeseen possibilities," said David Christopher, President of AT&T Mobility and Entertainment. 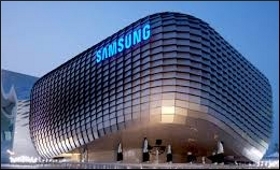 "Together with Samsung, we plan to bring the best in technology and innovation to our customers. The future we imagine with 5G is just beginning, and it is a great time to be a consumer," he said in a statement late Tuesday. The goal of the test-bed is to use 5G to enable new and exciting robotic manufacturing capabilities to better understand the impact of 5G on smart factories. "We expect that future smart factories will be filled with 5G-connected sensors that can channel real-time information about equipment performance, ranging from vibration to noise data," said AT&T. In September, AT&T selected Samsung as one of its technology suppliers to help AT&T build its mobile and 5G network. On Monday, Verizon and Samsung announced to jointly launch one of the first commercial of 5G-enabled smartphones in the US in the first half of 2019.